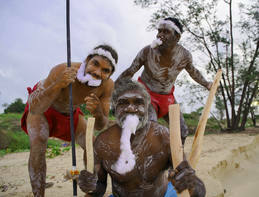 Larry Gurruwiwi with his brothers Vernon and Jason, form the Malawurr band from North East Arnhem Land, Australia. 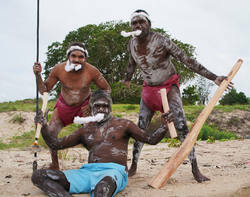 Together they perform ancient Galpu clan songlines (Manikay) and dance ceremonies (Bunggul) carrying thousands of years of stories, tradition and vital knowledge that is deeply connected to the sacred land they live on. “Malawurr” is another name for the Galpu clan family. 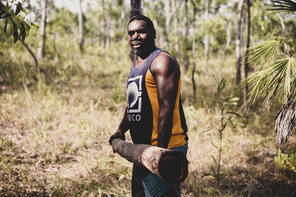 Larry is a master Yidaki player and a new custodian of the instrument, his father Djalu is internationally renowned as “Mr Didjeridoo”. For decades Djalu has travelled the world sharing his music to strengthen the culture not just for the “Balanda” (non aboriginal people) but also to inspire new generations of Yolngu at home in Arnhem Land so they can see how the wider world reveres their sound and the crucial knowledge it carries. Larry and his brothers have performed together since childhood, inspired by Djalu and many generations of ancestors who have passed down the songlines, they are now responsible to share the traditions with future generations. 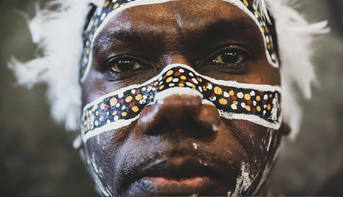 Vernon is also a masterful Yidaki player and dancer, whilst Jason Gurruwiwi is one of the most powerful and sought after songline vocalists in all of Arnhem Land. 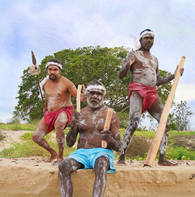 Together the 3 brothers are carrying the world’s oldest musical legacy of Yolngu Songlines to the world, sharing their culture whilst keeping it strong at home.